Millennial Home-Buying Myths: What Is the Truth About Generation Y? There's a new generation in town, and not all you've heard about these younger buyers in true. 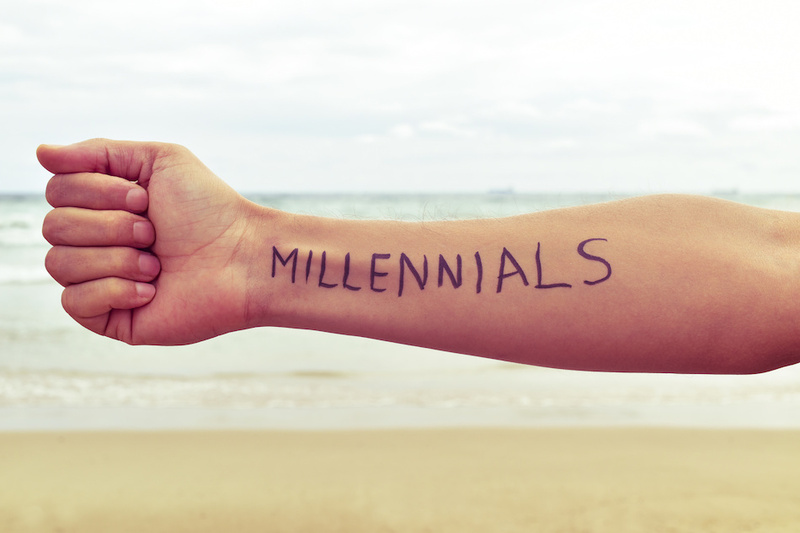 Millennials, also known as Generation Y, were born during the last two decades of the 20th Century. Generally, they came of age in the new century, and their interests and attitudes have been shaped by the internet, technology and world events. In some ways, Millennials are a new breed, full of confidence and new ideas, and exploring new paths. Aged 18 to 35, some are beginning to find their way in a work environment and culture not of their own design, while others are just now exploring options and opening their eyes to a world that is rapidly changing. Most might be the first to tell everyone that they have little in common with their parents. But those who are now entering their mid-thirties are, in some ways, becoming more like their parents with every passing year. In March of 2018, Millennials represented the largest share of the home-buying market, for the fifth consecutive year. Less than a decade ago that some analysts predicted this would be a generation of perennial renters. That assessment, it turns out, was far from accurate. The group now accounts for more than one third of all home sales. While many are first-time buyers, Millennials are not buying typical starter homes. They are waiting for the opportunity to purchase larger homes that they plan to live in longer than previous buyers. Today, the first crop of Millennial home buyers is marrying and moving to the suburbs in greater numbers than their Baby Boomer relatives ever did. Boomers are still a major force in the real estate market, representing 32% of buyers, but their buying profile is changing too. Generation X, older than Millennials, accounts for 26 percent of current real estate activity. College loan debt, economic uncertainty, high unemployment and later marriages created a situation where renting was preferable to owning. Even today, record numbers of Millennials choose to remain at home or return home to live with parents after college, even after earning graduate degrees. A more stable economy, escalating home prices and the promise of rising interest rates have become buying signs for young professionals. It bodes well for real estate, at least for the foreseeable future. Then, too, it may be that it has simply taken some time for Tiburon Millennials to find solid footing in the modern world.